Recording IS important. Eventually your fans get tired of hearing the same old songs. You need new material and you need to get it into fans ears BEFORE you tour their area so they know you have something new to entertain them with. 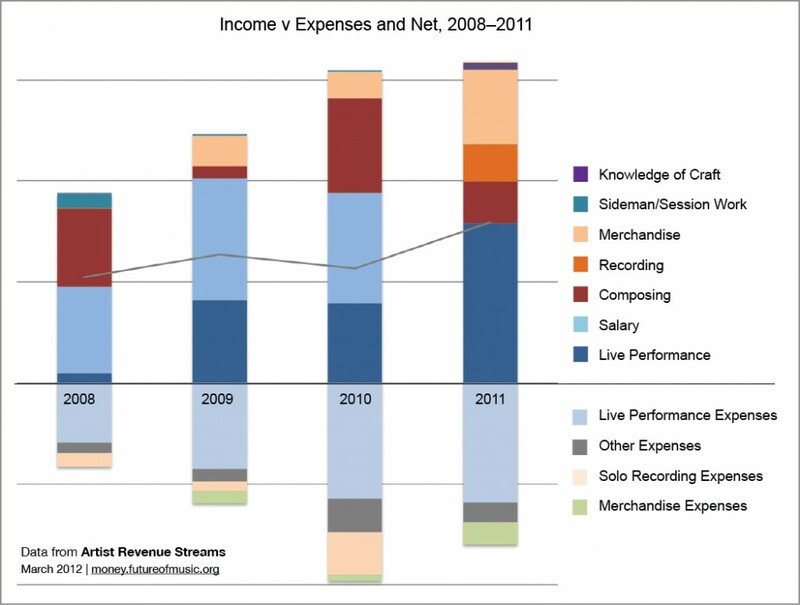 I noticed this guy has no money spent on recording for 2011, either he is not recording or he is doing it in his home.